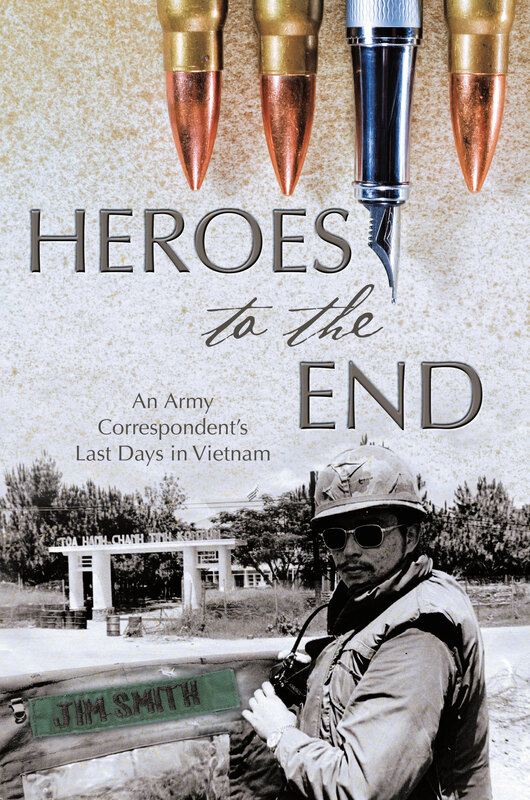 Heroes to the End follows Jim Smith who might be one of the few people that tried extending his tour in Vietnam and was actually forced to leave. As a correspondent for Stars and Stripes, the Defense Department’s daily newspaper, he saw every major city in Vietnam from the Delta to the Demilitarized Zone from 1971 to 1972. Drawing on dozens of his stories that were published and dozens that were not, he looks back at the war through the eyes of a 23-year-old who was technically a specialist fourth class in the Army but who acted like a civilian, sporting long hair and wearing safari suits with no rank insignia. He laughed at Bob Hope’s jokes, took cover during rocket attacks, pulled guard duty at night in the jungle, got in trouble with the brass, and was caught up in the adrenaline rush of war. Whether it was observing training of South Vietnamese troops by U.S. advisers, watching massive U.S. firepower take out enemy targets or reporting on other efforts to repel the North Vietnamese Easter Offensive, he was there to witness the events.